Shepherds Bush Carpet Cleaners has been established in the Shepherds Bush area for more than a decade, delivering a top quality carpet cleaning service. We have a commitment to maintain our high standard carpet cleaning, so that we are around for many more years to come. No matter how small the job, we have a great value cleaning service to suit your needs and your budget. Find out how our secret technique transforms your rugs and carpets beyond your imagination. Book us today by calling 020 3744 2321 and we’ll give you a free consultation. 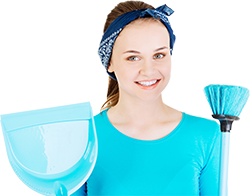 Do You Want the Most Amazing and Cheap Shepherd's Bush Cleaning Service? Having been established locally for so long we have developed a range of carpet and rug cleaning services in Shepherd's Bush that provide you with value for money, no matter how big or small is your order. Our customers always return to us because they know we are reliable and cost-effective. We can offer either steam carpet cleaning or dry cleaning and you’ll be amazed with the difference. Our services are entirely green too which means there won’t be any unpleasant odours left by our conscious carpet cleaners. The benefit of our years of experience is that our rug and carpet cleaners get the job done quickly and effectively, saving you both time and money. Why do it yourself when our services are so affordable? Do You Care About the Environment in the W12 Area? Book Shepherd's Bush Cleaning Company! We do! That’s why our carpet cleaning services in the W12 district are 100% eco-friendly and the techniques we use are the best available on the market. They are able to get your carpets and rugs cleaner than clean. We won’t leave any residue or create any hazardous fumes during one of our professional carpet cleans. Our products are powerful and yet gentle enough to use on valuable rugs which may have delicate weaves. Our green Shepherd's Bush carpet cleaning services remove almost all the invisible particles of house dust that can irritate you, particularly first thing in the morning. Do you wake up sneezing and you can’t seem to stop? Our environmentally friendly cleaning system can guarantee you no more of that! We are locally based throughout the W12 postcode and just a phone call away! We use the latest technology for our carpet and rug cleaning and we vary the technique we use according to the job at hand. With our professional cleaning service in the W11 area, we use very powerful machines. With traditional home carpet cleaning methods, there’s hours to wait for your floorings to be dry enough to walk on. Shepherds Bush Carpet Cleaners’s steam cleaning service takes much less drying time, whereas after we have dry cleaned your rugs and carpets, they are ready for use immediately. Dry carpet cleaning is often favoured by commercial and retail enterprises for that reason. If you call us on 020 3744 2321 you can tell us your requirements, what kind of carpets and rugs you have, and we can recommend our best carpet cleaners Shepherd's Bush service for you. Call us today for the lowest price in the area! There’s no need to take our word for the fact that our services are the best in the neighbourhood, why don’t you find out for yourself! Call 020 3744 2321 and book an appointment today and save money with our special offers! We have domestic and commercial departments ready to transform your office or home rugs and carpets – all at incredibly low prices. No matter where you are in the W12 area, we’ll have a team just around the corner! Don’t phone the rest until you’ve spoken to the best Shepherd's Bush carpet cleaners. Description: Enormous discounts on carpet cleaning services in Shepherd's Bush, W12! Hurry up and take advantage of our exclusive deals by calling on 020 3744 2321. Copyright © 2015 Shepherds Bush Carpet Cleaners. All Rights Reserved.